A 48-year-old man has been arrested by counter terrorism police following the incident. Authorities are reporting a number of injuries in relation to a vehicle crashing into pedestrians in Northern London. One person has been arrested in relation to the incident. For live updates, follow the BBC. According to the BBC, the van that hit pedestrians hit people as they were exiting a Mosque in North London. One person as died and eight people are injured due to the attack. The Associated Press reported that the man taken into custody is a 48-year-old man who was taken to the hospital. The vehicle hit people who were leaving a mosque. It was a highly populated area, as it is currently the Muslim holy month of Ramadan, and many worshippers were leaving the mosque at the time of the attack. Update: 04:30 a.m. One dead, 10 injured in terror attack. A 48-year-old man has been arrested on suspicion of attempted murder. The Metropolitan Police has confirmed that its counter terrorism unit is investigating the incident, in which at least one person was killed. A 48-year-old man has been arrested on suspicion of attempted murder after being initially pinned down by members of the public. He has been taken to hospital as a precaution, and will be taken into custody once discharged. Witnesses said the driver had shouted: “I want to kill all Muslims” before he was pinned to the ground. 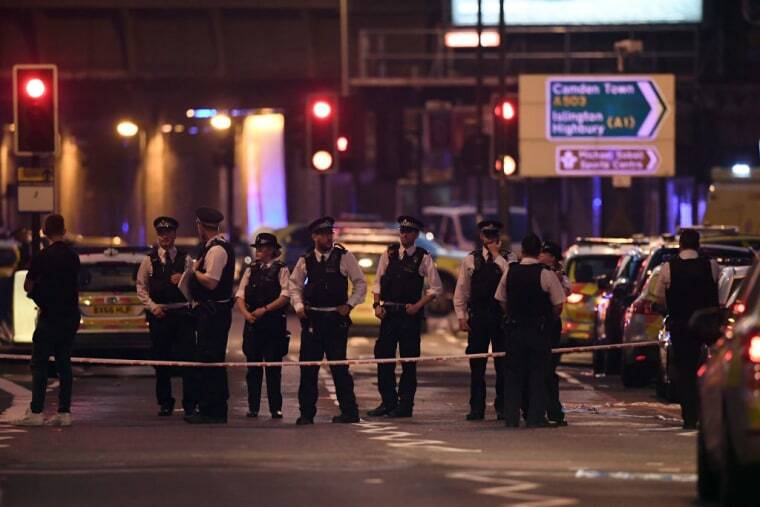 The incident happened around 12:20 a.m. BST outside the Muslim Welfare House on Seven Sisters Road in north London. The streets were busier than usual as prayers had recently finished at the nearby Finsbury Park mosque. In addition to the one confirmed death, a further eight people are in hospital, two with very serious injuries, and two others were treated at the scene, The Guardian reports. All of those injured were members of the Muslim community. Prime Minister Theresa May said she is "appalled" at the attack and confirmed she would chair a meeting of the government's Cobra emergency committee later on Monday morning. Mayor of London Sadiq Khan condemned an attack on “innocent Londoners” and added that "terrorism is terrorism" no matter what inspires it." Jeremy Corbyn, whose constituency includes the Finsbury Park area, visited the scene last night and, again, this morning. He is expected to attend prayers at Finsbury Park mosque today.